There is only thing that can mar your beautiful Puyallup and that is an ugly, unwanted tree stump that sticks out like a sore thumb. There is good news for you as Hunter Tree Service is one of the best and most trusted companies for stump removal, stump grinding, and tree removal services in the Puyallup area. Our company was started by Jason and Paula Mahon in 1986 in Tacoma. We are a certified and insured arborist company that has grown to become a well-reputed company for stump removal, stump grinding, and tree removal services. 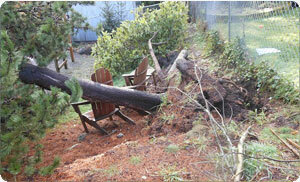 Our goal is to provide Puyallup homeowners with the most beautiful yards and gardens without tree stumps sticking out. We use the latest tools and techniques for stump removal, stump grinding, and tree removal services to make sure that all stumps are properly removed. Our team consists of only ISA Certified arborists and tree climbers to provide you with high-quality services in the Puyallup area. If you are looking for the best and most efficient method to remove tree stumps from your yard or garden, we recommend stump grinding. It is one of the most commonly used methods as it is safe and effective. When this method is used, you can be sure that the old and unwanted stumps in your Puyallup yard will be properly removed and you can regain your lovely landscape once more. It is important to always pick one of the best companies for stump removal, stump grinding, and tree removal services in the Puyallup area to make sure that the job is done properly. Certified arborists are always the best choice as they have the knowledge and training to treat different tree problems using suitable methods for stump removal, stump grinding, and tree removal services. 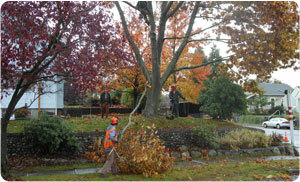 To make sure that a quick and efficient tree removal is done, make sure that you hire an experienced company. To make sure that your landscape looks aesthetically pleasing, call on the experts for top-quality stump removal, stump grinding, and tree removal services. 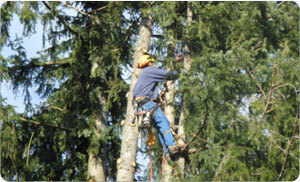 Hunter Tree Service is a name that you can always depend on for all types of tree problems. We will make sure to provide you with nothing but the best stump removal, stump grinding, and tree removal services to give you a great-looking garden and yard. For a free estimate on our stump removal, stump grinding, and tree removal services, call us anywhere in Puyallup at 235.777.1938 today!